Looking for string pasta that’s better than plain old spaghetti? 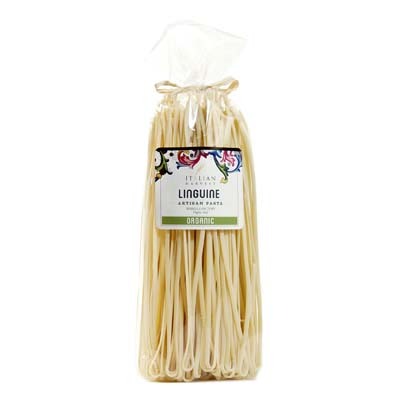 Well then, you’re in luck with this Organic Linguine from Marella. Great for holding all sorts of sauces, these strings of tasty pasta are manually hung before they are dried. That is why you may notice they’re not of the same length. But more than just the regular kind, this is made of 100% natural ingredients. And you can serve them with any of your favorite sauces. You may even just toss it with olive oil and black pepper or butter and cheese. Hurry and get your bag of this delicious pasta today!